Daren’s passion is for making generously portioned gourmet dishes that are big on flavour - without being pretentious. He said, 'With our food, you never have to search for the flavours, they're robust and they really come through in each and every dish". 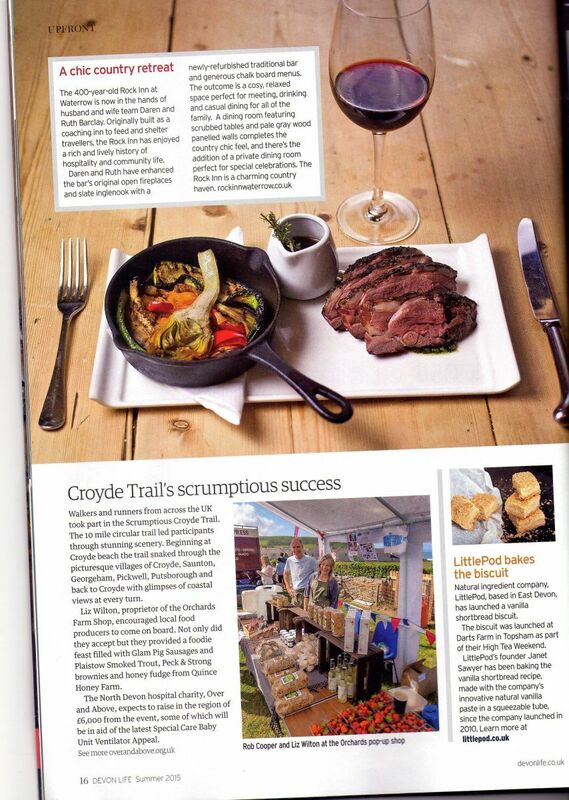 Devon Life wrote a feature on The Rock Inn at Waterrow back in the Summer - here's what they said! Our love for rustic fine dining at gorgeous rural locations, far away from the hustle and bustle, shows no signs of waning, and our latest discovery is a hidden Somerset gem that’s bursting with culinary delights and a wonderfully warm atmosphere….